This Raksha Bandhan, tie this silver-coloured rakhi on the wrist of your dearest brother. Your brother can flaunt this rakhi all day. The best thing about this Rakhi is that your brother can wear this rakhi throughout the year. 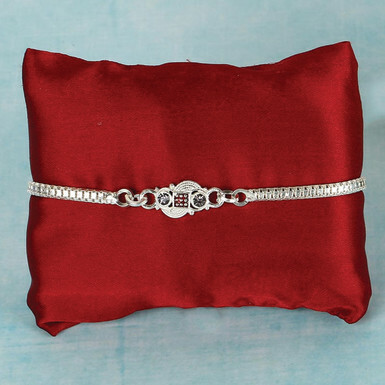 So, order this beautiful silver rakhi right now and enjoy this rakhi celebration with full swings.